On January 12th, 2010, a catastrophic earthquake devastated the small, island country of Haiti. This densely populated nation is among the least developed in the Western Hemisphere, which made the tremendous impact of the quake even greater. The 7.0 magnitude earthquake, striking less than 15 miles west of Haiti, virtually destroyed the capital city of Port-au-Prince. Realizing the extreme need the Haitian people would require, the NHLPA, led by veteran member Georges Laraque, quickly took action. Laraque, a Haitian-Canadian, reached out to World Vision to maximize the NHLPA's ability to contribute. A partnership was quickly formed, and the Hockey for Haiti initiative was created. 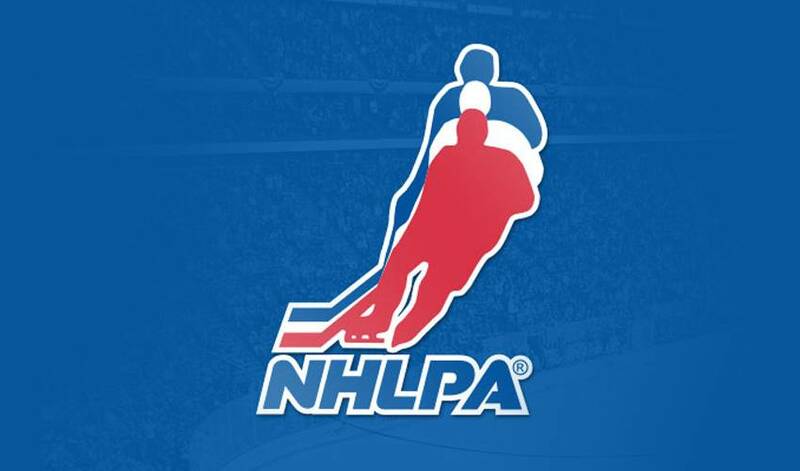 The NHLPA kicked-off its efforts for the initiative with a substantial donation of $100,000 from their Goals & Dreams fund to Hockey for Haiti. The players, still eager to assist the Haitian people further, put forth the idea of an online charity auction to raise additional funds for the struggling nation. After establishing these goals, the auction began on January 25th, just 13 days after the earthquake occurred. As word of the auction spread among the players, memorabilia started arriving at the NHLPA office in Toronto. These unique, and many game-used and autographed items, combined with donated items from the NHLPA, quickly became popular with hockey's passionate fans. For eight weeks straight, running into late March, memorabilia was auctioned online via eBay. The one-of-a-kind memorabilia sold through the auction was often gathered personally by NHL players. Hockey for Haiti received more than 160 player-donated collectables for the auction. This included game-used sticks, gloves, and helmets. The NHLPA contributed autographed, professionally-framed photographs, in addition to numerous autographed, jerseys. In numerous instances , players from around the league rallied their teammates to the Hockey for Haiti cause. This included players from the Montreal Canadiens, Vancouver Canucks, Ottawa Senators, and Tampa Bay Lightning. In addition, many players from the Colorado Avalanche, Anaheim Ducks, Phoenix Coyotes, and Columbus Blue Jackets all made impressive memorabilia donations. Some of the most popular items were the jerseys from the past two NHL Winter Classic events, which were generously donated to the auction by the NHLPA. These jerseys were actually worn by the players while skating at the Winter Classic games at the iconic Wrigley Field in Chicago on January 1, 2009, and historic Fenway Park in Boston on January 1, 2010. In total, 12 authentic jerseys, three from each of the Detroit Red Wings, Chicago Blackhawks, Philadelphia Flyers, and Boston Bruins, were auctioned, raising more than $13,000. Patrick Kane's Blackhawks' jersey alone generated $2,775.00. In addition to fans supporting such a worthy cause, they were able to receive a piece of history, not available anywhere else, from one of the now annual New Year's Day Winter Classics. Among other memorabilia donated by the players, the sticks, gloves, helmets, and photos were also popular among buyers. Canadiens goalie Carey Price's game-used, autographed stick and Avalanche rookie sensation Matt Duchene's game-used, autographed gloves sold for over $400 each. Autographed, authentic jerseys of All-Stars Sidney Crosby and Alex Ovechkin sold for over $1,200 combined. Players from the Phoenix Coyotes, Colorado Avalanche, Anaheim Ducks, and Vancouver Canucks all donated jerseys that were autographed by their entire rosters. In addition to their signed jersey, the Canucks' players also autographed a Bauer composite hockey stick, also signed by the entire team. As the auction continued to have great success, Canucks' players even collected pucks they had used during a team practice, autographed them, and delivered them by-hand to NHLPA employees, to be used for the auction. Swedish sensations Henrik and Daniel Sedin and their linemate Alex Burrows, along with Olympic silver-medalist Ryan Kesler and Olympic gold-medalist Roberto Luongo were among those who autographed the pucks. The generosity was not limited to NHLPA members. Other accomplished athletes, such as Olympic gold-medalist, Cassie Campbell, and WBC Light Heavyweight Champion Jean Pascal, who was born in Port-au-Prince, Haiti, contributed an autographed Team Canada jersey and pair of Rival boxing gloves, respectively. In addition, the cast of CBC's Battle of the Blades donated a commemorative figure skate, autographed by all of its competitors and co-host Kurt Browning. Throughout the auction's first phase, Hockey for Haiti was encouraged by fans voicing their continued support and admiration for such a worthy cause. The players could not be more proud of the generosity their fans have demonstrated. The auction has produced over $41,000 to-date, bringing the entire project's total to over $400,000. While Hockey for Haiti was extremely successful throughout its auction's initial phase, the players realize that it takes more than eight weeks to rebuild a distressed nation. Because of this, Hockey for Haiti will continue to press forward, introducing phase two of its auction in the near future. Fans should continue to visit www.nhlpa.com in the coming weeks, as the second phase of the Hockey for Haiti auction will be active in early to mid-April. The people of Haiti continue to depend on the generosity of those who have donated to the cause already. Proceeds from all items featured in the auction are donated to Hockey for Haiti. To personally make a donation to the project, or to find more information on the NHLPA and World Vision partnership, visit World Vision's website at www.worldvision.ca/hockey. The efforts of World Vision, NHLPA member Georges Laraque, and so many others will continue as the people of Haiti work to rebuild their nation.